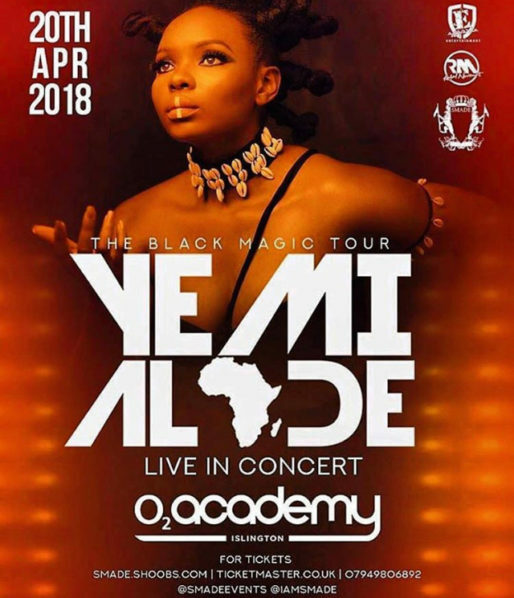 SMADE ENTERTAINMENT presents their fourth concert of 2018 and the second concert in the month of April – Yemi Alade’s The Black Magic Tour. This will be her first performance at the O2 Academy in London since 2016. The follows the just concluded Falz the Bahd Guy concert. The London leg of this tour is set to hold on Friday 20th, April 2018 at the O2 Academy, Islington, London. The Black Magic TourYemi AladeYemi Alade The Black Magic Tour.